In 2001, The Strokes were heralded as rock and roll’s saviors. With retro-looking videos, carefully disheveled appearances, and a bona fide game-changer of an album in Is This It, the New York City band reclaimed cool to its rightful owners and reintroduced the world to the slacker anti-hero. Then – after a divisive third album that attempted to shake up the band’s garage rock formula – five years of nothing. In the run-up to the release of Angles there was talk that the group’s first album since its self-imposed hiatus would be, as bassist Nikolai Fraiture put it, a “return to basics.” To be sure, pre-release single “Under Cover Of Darkness” sounds like vintage Strokes – that is, it sounds like a late ‘70s, CBGBs-era gem. All this seemed a tacit acknowledgment that, yeah, maybe they did stretch a little too far on First Impressions Of Earth. Opening track “Machu Picchu” wastes exactly five seconds before dismissing any notion that this album is any sort of return to form. “Under Cover” is an outlier on Angles. If anything, the band makes the case that First Impressions didn’t stretch far enough. Is This It and Room On Fire were urban albums. Specifically, they were New York albums, packed with songs in tiny lofts and dark bars with protagonists trying hard to avoid boredom and intent on getting laid. All this was couched in singer Julian Casablancas’ side-of-mouth mumble, Nick Valensi and Albert Hammond, Jr.’s razor-sharp guitars, and the airtight rhythm section of Fraiture and drummer Fabrizio Moretti. The Strokes played garage rock but didn’t subscribe to Sonics-style reckless abandon. It was all aesthetic for them. It was retro, and sounding retro hardly comes about accidentally. While the hairs on their heads might look unkempt, nothing on those recordings is out of place. But since we last heard from The Strokes, New York City lost CBGBs, and in a way the iconic punk rock haunt isn’t really part of The Strokes anymore either. Instead, we have “Machu Picchu,” a hip-swiveling dance number dripping in bass sauce and guitar glitter. Then there’s a page ripped straight out of the Cars’ playbook (“Two Kinds Of Happiness”) and hints of Devo’s robotic futurism (“You’re So Right” and “Metabolism”). On album closer “Life Is Simple In The Moonlight,” the band drifts through lush and pretty verses, which up to now haven’t typically been adjectives thrown around when describing Strokes lyrics. Other songs are more recognizably Strokes-y, and it probably isn’t a coincidence that they’re the best ones on the album. “Taken For A Fool” and “Gratisfaction” are immediately gratisfying, especially the latter with its Billy Joel-aping swing and shuffle and big, power-pop chorus. But for a band with an identity so tied to the narrow parameters it assigned for itself long ago, the results on Angles are going to confound and frustrate some. For sure, having toiled in that box for so long, the band’s reach seems to strain on songs like “Games,” where the ‘80s new wave veneer doesn’t matched the weathered leather jackets. Angles is a tough record to make up your mind about, and, given the quote above, some band members may be withholding verdicts as well. 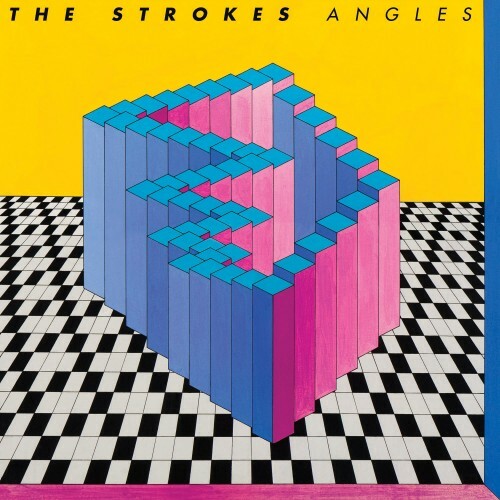 When all is said and done, Angles could make for an exciting introduction to a new chapter for The Strokes, or it could be a disappointing swan song.